Mount Sibayak is a small volcano overlooking the town of Berastagi in northern Sumatera, Indonesia. 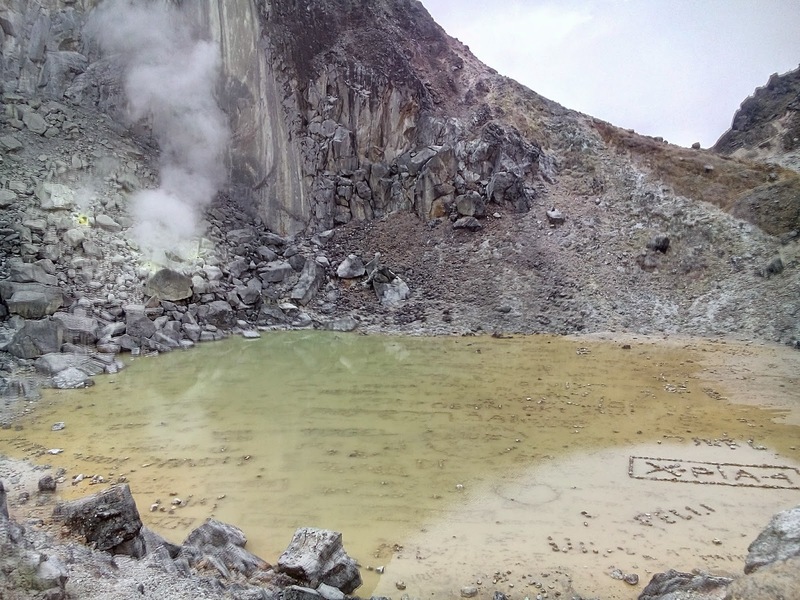 its last eruption was more than a century ago, geothermal activity in the form of steam vents and hot springs remains high on and around the volcano. Sibayak is a term from the Karo - Batak language referring to a founding community. It is relatively easy to climb and has been a tourist attraction since colonial times (Based on wikipedia). 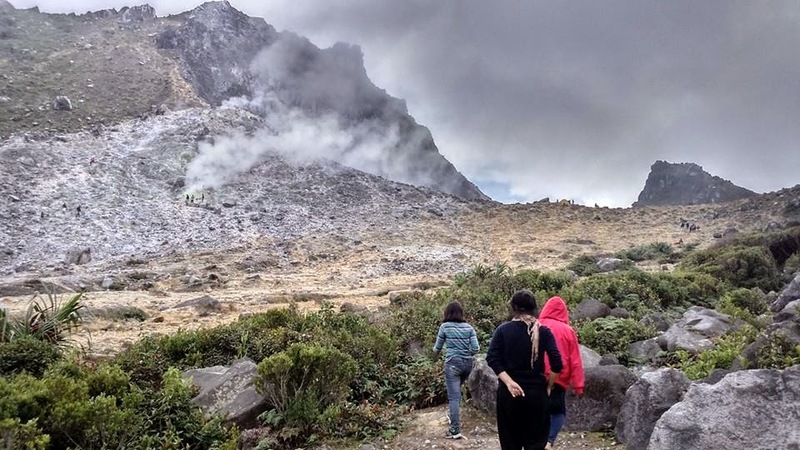 It's time to share my experience Hiking in Sibayak Mountain, a beautiful mountain located in the north of Karo highlands. We departed in the afternoon at 01.30 PM and started climbing up from Raja Berneh Village. 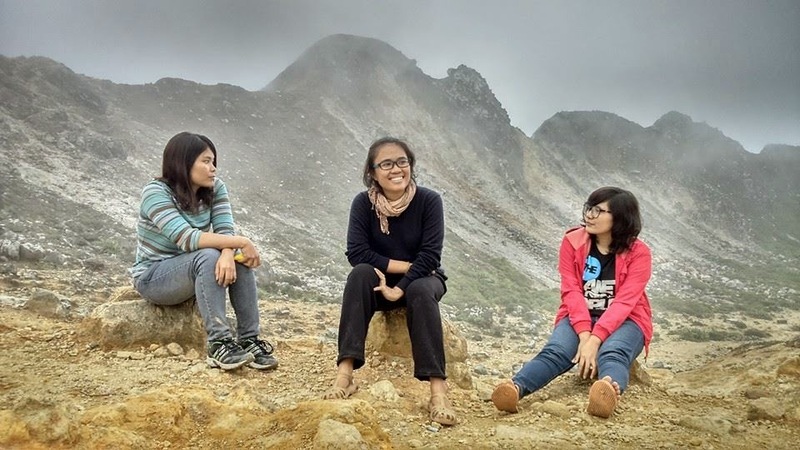 Hiking Sibayak wouldn't be too difficult, you can reach more than halfway to Mount Sibayak by hiring a motorcycle. the route is quite easy, if you are used to hike, it would be easy peasy lemon squeazy for you. As a group of amateur hikers like me and my friends, We found it a little tough but still enjoyable, we took breaks to control our breathing during the journey all the way to the peak of Sibayak, taking break is a must, it will help you increase energy and avoid burnout. The Volcano was still hissing fumes. it was rocky and we smelled the stink of sulphur all over the mountain and we also saw the crater in the distance. Luckily the weather was so fine but we still soaked in sweat. it took 4 hours to reach the top of the mountain, there were many people camping up there and it came as no surprise to me that the view was beyond amazing, the fumes, the rocks, the crater, the smelly sulphur and the happy faces surrounding the volcano were just a perfect combination, we found heaven on earth, our efforts finally paid off. 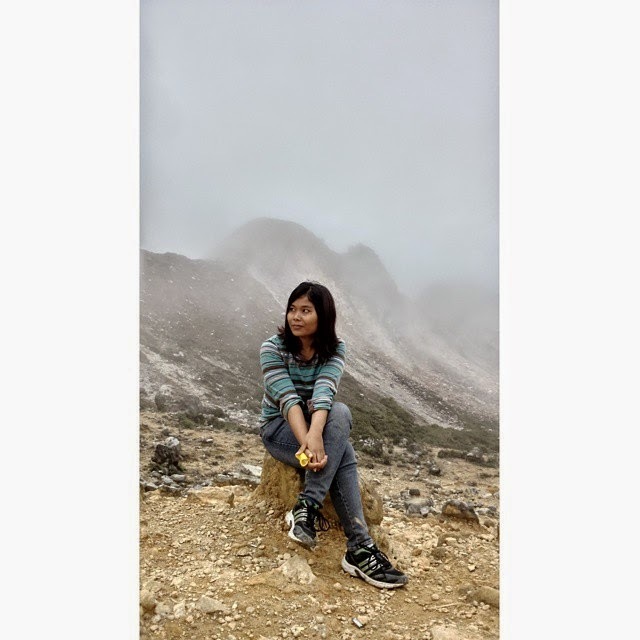 It was my second visit to volcano, my first one was a visit to Pusuk Buhit Volcano when I was in junior high school for our school farewell celebration. After reaching the top of the volcano we trekked down Mount Sibayak and then we took a short dip in a hotsprings for a price of 6000 Rupiah, it's so relaxing and then we went back to my friend's house, it's time to call it a day and night, time to take a rest and go to bed. 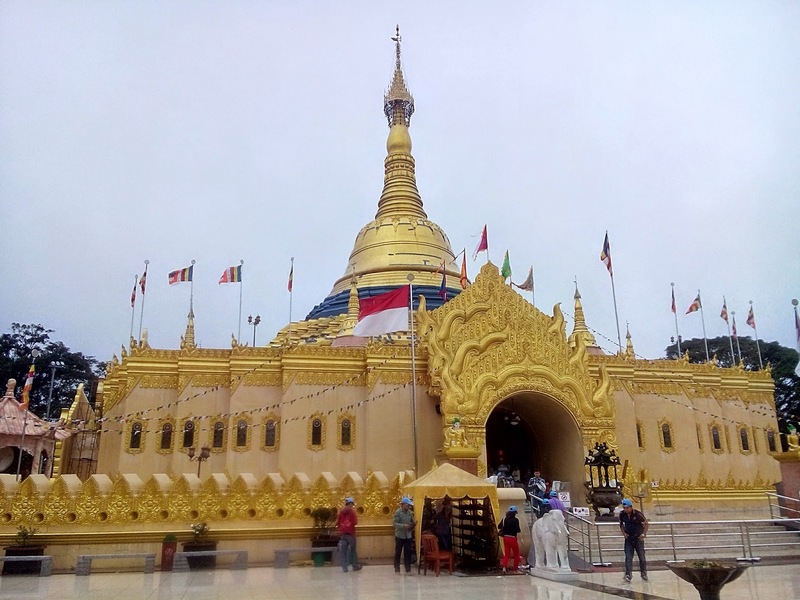 Before we went back to Medan by Sinabung Bus, we made a visit to a beautiful gold-coloured Pagoda Vihara in Berastagi. unfortunately we struck by heavy rain, but since we were unstoppable we kept moving on and Thank God as we walked the road to Pagoda we saw a mini bus (Angkot) passed by. we continued going to Pagoda Vihara by bus and took some colourful and cute pictures with my beloved friends. And Tadahhhh.. It's a wrap!! that's the end of our fantastic journey, I am so looking forward to our next adventure.. bye! !